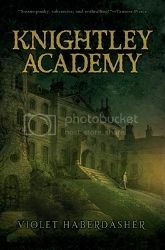 I have anxiously been awaiting this book ever since I finished TN5 First Among Sequels. Of course, I had to wait quite a while, so that Shade of Grey could come out first, so I was really excited when I saw my library had the book on pre-order – I was first in line on that wait list! Unfortunately, it had been so long since I read First Among Sequels, that I couldn’t quite remember what happened to make me so excited. I like to re-read the most recent novel before starting the new one any time I have a series like this that is still publishing, just to remind myself what happened, but I just didn’t have time this time, and now I wish that I had. Probably because of this, and because of the insane amount of work I’ve been doing for my project recently, I had a really slow time reading this. It’s not that the story was bad or anything, in fact I found it very interesting. But I just didn’t get that “I cannot put this down even though it’s 5 am and I have to be up again at 7″ feeling like I did for the first 5 books. 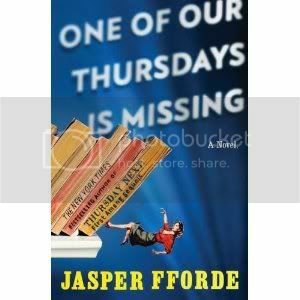 The premise of the book is interesting enough – the real Thursday has gone missing and the written Thursday decides it’s her job to find the real one. Shenanigans ensue and when you get to the end, some part of you will probably be going “wait… what happened there?” I certainly didn’t see the ending coming. I also thought his characterization of the written Thursday was very well done. Though she had some doubt, I knew all along that she wasn’t the real Thursday, because she didn’t feel like the real Thursday. Real Thursday would have had to undergo some serious hypnosis to make her act so very different from the Thursday I know and love. A part of me wonders if that’s why I had such trouble getting interested in the book – I wanted another book about the real Thursday, and written Thursday just doesn’t read the same. In the end, I’d give it 3 of 5 stars, just because I had some trouble with it. I still loved it, mind. I’m just not as much a fan as I was of the beginning. 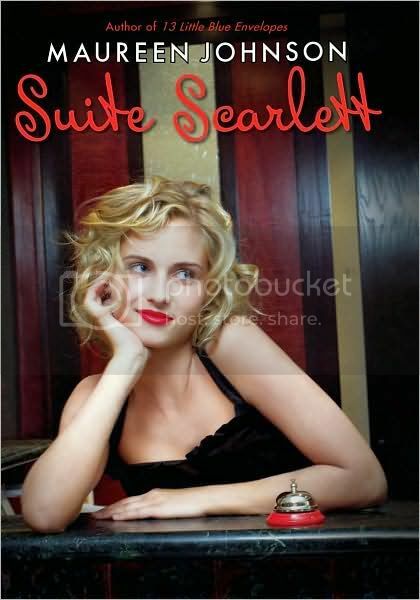 I picked up Suite Scarlett not really knowing what to expect. I’d only read the 13 Little Blue Envelope series, so far, and I hate to judge an author just based on one book. I’m glad I chose to read it though. You know how sometimes you finish a book and you hate the fact that you finished it because you want more of a good thing? Well if you felt that after 13 Little Blue Envelopes like I did, then Suite Scarlett is definitely for you. I loved that this book was kind of a variation on Envelopes but with a fresh set of characters and a new interesting story. Eric was more my kind of dreamy than Keith ever was, and I loved the relationships between all the siblings. My favorite character, though, was the Aunt Peg of this one, Amy Amberson. Mrs. Amberson and Aunt Peg are the kind of woman I want to be when I grow up. They do their own thing, and even though they seem a bit weird and over the top to the rest of the characters, their view on life is so great! I’d love to be like them – but I don’t think I could. I’m too much of an orderly, follow-the-rules type. Instead, I’d like to think of Maureen Johnson as my Mrs. Amberson. She inspires me to be more spontaneous, though luckily without the kinds of things that would drive me nuts (like framing me for shoplifting – that would be way over the line for me, I’d refuse to even be around her after that!). Anyway, bottom line is I really enjoyed this book, and I would definitely recommend it to friends. It’s that time again! How on earth are these weeks going so fast?! This is so hard! Mentally, I put myself in the world of my books all the time. I think I would put myself into Harry Potter (which will probably be a popular answer today) or the BookWorld parts of Jasper Fforde’s Thursday Next series. What wouldn’t be interesting about living inside all the books ever written? I know, kind of a cop out, but then if I ever got bored with the book I’d chosen I could just move to a different one. Vague Plotline: The Doctor and Rory are trying to fix the Tardis, but Amy distracts Rory and the Tardis does an Emergency Landing inside itself. This creates a space loop – impossible to get out of, at least without a little bit of timey-wimey help from the Doctor! My Review: OK, so I promised no Doctor Who until the series started, but there are new episodes! OK, so it’s only like 10 minutes total, but still! NEW EPISODES!!! *sigh* I am such a fangirl. I love the Red Nose Day shorts. True, they don’t always do them, but they have THE funniest lines in the entire show – and that’s saying something! I mean who could forget Tennant’s “Hey, I’m the Doctor, I can save the universe using a kettle and some string! And look at me! I’m wearing a vegetable!” [Time Crash – between seasons 3 and 4 if you missed it]. This one was no exception! Matt Smith brings his own brand of funny and Karen Gillian plays up Amy without even batting an eye. Again, this is mostly a collection of thoughts – end result is I loved it, cause it’s Doctor Who and I love it anyways. Am I the only one who wants to know what Amy wanted to talk to the Doctor about? Before she gets distracted by the fact that the Doctor is letting Rory help drive the Tardis and she’s never gotten a go (what happened to The Lodger? Does she not remember this?) she says she has a question. What is that question?! Is it important? They never say! It’s been bugging me. A lot. Amy and Rory make the PERFECT couple! I really hope we get to see a lot more of them interacting! “An unexpected house” LOL! The Doctor is so adorably clueless! I spotted that one miles away and he just asks “How could it be her fault!” Although I would argue it’s more the Doctor’s fault than Amy’s cause there are tons of different desktop themes (as Doctor 5 says in Time Crash) and he chose the one with the Glass floor. Of course the safest spot is inside the Tardis! I could have told you that! Question: How come when the Doctor goes through it’s instantaneous, but when Amy comes through there’s something like a 10 minute lag? OK, so it makes a better story, but it kinda bothers me. Pond flirting with herself? Really? How conceited can you get? “Pond, put some trousers on!” – what you wanna bet she wears a skirt in every episode in series 6? Seriously, they’re going to milk this joke for forever! Anyways, thanks for sticking with me through the ramblings! If you haven’t watched these yet, go look them up on Youtube – they’re hilarious! (if you haven’t watched much Doctor Who, you might want to start a little earlier in the timestream – say series 1 from 2005. You’ll be quite lost, otherwise!) Apparently there’s a prequel to series 6 coming out tomorrow, and then only 1 month till the real thing starts up again! So excited!!! OK, so after finishing Mockingjay I desperately needed something light and fluffy. I turned to this novel, figuring I’d just read a few pages to calm myself down before turning out the light and trying to sleep. Instead, I found myself finishing the whole thing at 2 am because I just couldn’t put it down! I was sooooo book hung over the next morning! The thing with this one is it wasn’t that I couldn’t put it down because I couldn’t wait to find out what happens. 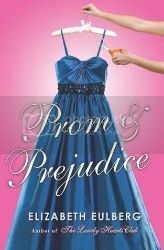 I knew what happens, because I’ve read/seen the story of Pride and Prejudice so many times I have it memorized. The fact that I still couldn’t put it down means that this was a really good book! I love the idea that there are modern day Darcy’s and Bingley’s out there. I’ve always thought I was very similar to Elizabeth – if I’d been born then, that would have been me, right down to the parents (though I don’t have the siblings to complete the picture). Darcy would be my perfect man – I couldn’t deal with constant sweetness like Bingley, but Darcy does know how to be that sometimes. So anyways, the modern Darcy is very intriguing to me, because I’d like to believe he’s out there somewhere. In the end, this is a really cute book, sort of the antidote to the extreme nightmare inducing (but good in their own way) books like Mockingjay. Of course, I still had nightmares that night, but I would like to think that they weren’t quite so bad as they could have been. So go read it next time you need something cute to read! You Make My Day Winner! You should have received an email from me already. You have 48 hours to reply before I pick another winner. 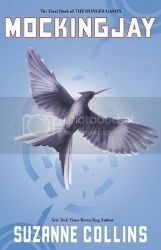 Young Katniss Everdeen has survived the dreaded Hunger Games not once, but twice, but even now she can find no relief. In fact, the dangers seem to be escalating: President Snow has declared an all-out war on Katniss, her family, her friends, and all the oppressed people of District 12. I’m going to go ahead and say something controversial here: I did not enjoy Mockingjay. Now before you go all torch and pitchforks on me, may I point out that you’re not supposed to? Mockingjay, and the whole series really, is meant to make you uncomfortable. It is meant to create cognitive dissonance. I can see this book being taught in 50 years alongside the famous dystopias like The Giver, Anthem and The Handmaid’s Tale. Though you were fictional, you still left your mark. Robin McKinley’s work tends to be really hit and miss with me. I have really loved some of her books, like Spindle’s End, Rose Daughter and Dragonhaven. But then it took me 3 tries to make it all the way through Deerskin and I still haven’t managed to make it through Outlaws of Sherwood though I’ve tried what seems like a million times. So the fact that I made it through Pegasus is a good sign. It seems like recently McKinley has been going through the list of paranormals and working on her own version of them. I always love seeing her new look on something – her fairytale retellings are so fresh and new, and her recent tales of dragons and vampires are such interesting tales. Pegasus was in the same vein. 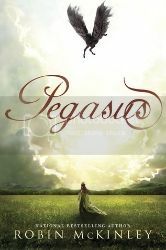 No one has ever done pegasi, that I know of, and that fact made the novel unique in itself. She has a gorgeous imagination that she does a very good job of conveying. The main complaint I have with this one is the amount of world building she does. The novel was rather slow and hard to get into, and that lasted for more than half the book. In fact, I didn’t feel like the story really picked up 50 or so pages from the end and then it was over. I was frustrated that I didn’t really get the story before it ended. But I will definitely go read the second book, because she will have finished with the world-building and I can finally get to the real meat of the story. Bottom line: I enjoyed the story, but I would have liked more story and less exposition. I could see how this might not be for everyone, but it is an interesting new view. It’s that time again! I was kind of upset to miss last week’s because the question was awesome, but I’m back again! Do you read only one book at a time or do you have several going at once? I’m honestly an all at once kinda gal. For one thing, I get most of my books from the library, and when I bring them home I’m excited about all of them at once, and I have trouble deciding which to start first. I’ll often start one, put it down, and when I come back later I’ll be like “But I wanna read that one first!” so I’ll pick it up instead. There’s also the factor of mobility – I have a rather large “purse” so that I can fit at least one book in, but if the book is a particularly large hardback, it sometimes won’t fit with my planner, journal or whatever else I’m bringing with me. So I pick out another one and bring that instead. Finally, I also usually have one started on my iPod, because I’ll often have long rehearsals that I don’t play much on, and it’s so nice to have a book on something small like that, so I can set it on my stand and read and my conductor doesn’t notice (*fingers crossed* if she does notice, I’m kinda in trouble! But those rehearsals can be soooo boring, especially since I don’t play on all the pieces/movements!). Can you read more than one at once? If you’re new here, please check out my recent post, Missing: HAVE YOU SEEN THIS BOOK? I am attempting to find the title and/or author of a book I borrowed from a friend in HS and I can use all the help I can get!